Feel free to email this page to your loved ones this holiday season. It's either that or end up with some kitchen tool or a big granny cardigan, so save everyone a bit of hassle and pick out what you want from Urban Decay's Christmas 2012 offereings! The Vice Palette is simply stunning. Look at it! Containing 20 brand new shades, there is actually no excuse whatsoever not to pick this up for yourself or add it to your wishlist. Usually, palettes like this have shades we've seen before and so the justification process for purchasing is more difficult, but we usually get around it. 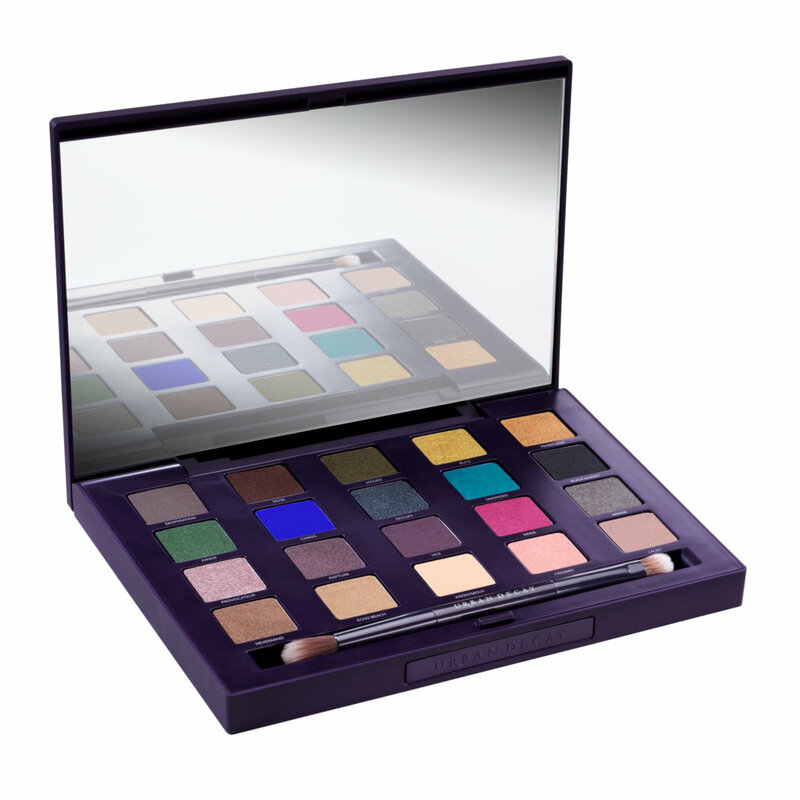 This is easy peasy and is packed full of mattes, shimmers, satins, neutrals and brights, not to mention that massive mirror! Oh I think this will be mine this Christmas! The Feminine, Dangerous and Fun Palettes are dinky with a capital D. So Dinky. From the zipper that keeps it closed to the coordinating Lip Junkie Lip Gloss, each of these three palettes reflect different sides of your personality. And, if they weren't cute enough, you can take the eyeshadows out and use it as a little clutch. There's a 24/7 Double-Ended Eye Pencil Set that has my name written all over it. I absolutely love the liners from Urban Decay and one of the shades is called Sabbath, a matte navy blue shade that's exclusive to this set. Sold! On the other end of Sabbath is Stash, a deep golden green metallic and the other pencil has the award winning Zero shade and Corrupt, a metallic reddish brown with silver metallic. I need to see a swatch of that baby stat, sounds fabulous. 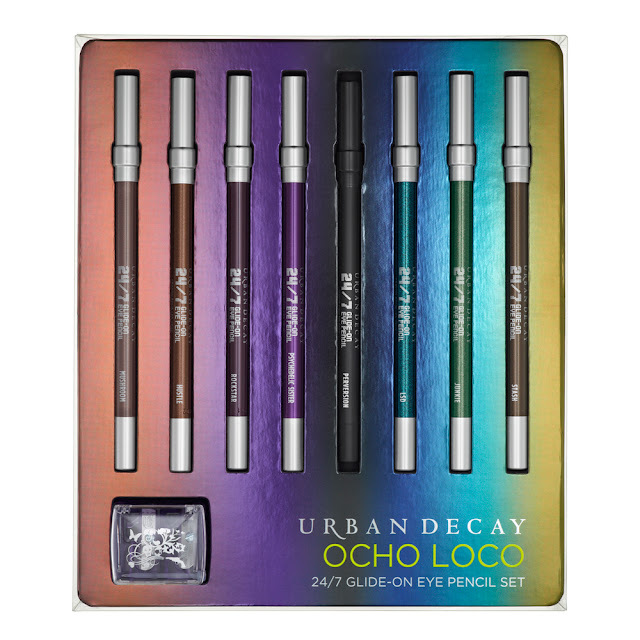 Ocho Loco has eight full sized 24/7 Glide-On pencils and has four new bright shades along with four of the best selling shades from the range. I'm totally intrigued at seeing Peversion, the "blackest black matte" along with that bright purple one, Psychedelic Sister. This set has my name all over it and is a bargain at €45 when it should be over double that if you were to buy each of the pencils on their own. The Smoked 24/7 Glide-On Eye Pencil Set has six of the creamy, buttery eye pencils that I am in love with and there's one brand new shade and three that you can only get in sets. I can't recommend the 24/7 liners enough. They stay put like nowt else! I will be completely broke come Christmas but my face will look fabulous! I'm thinking I need the Vice Palette and the Ocho Loco set. What's on your wishlist? You must get the Vice palette. It is fantastic! I fell in love with it in London....and it fell into my bag!